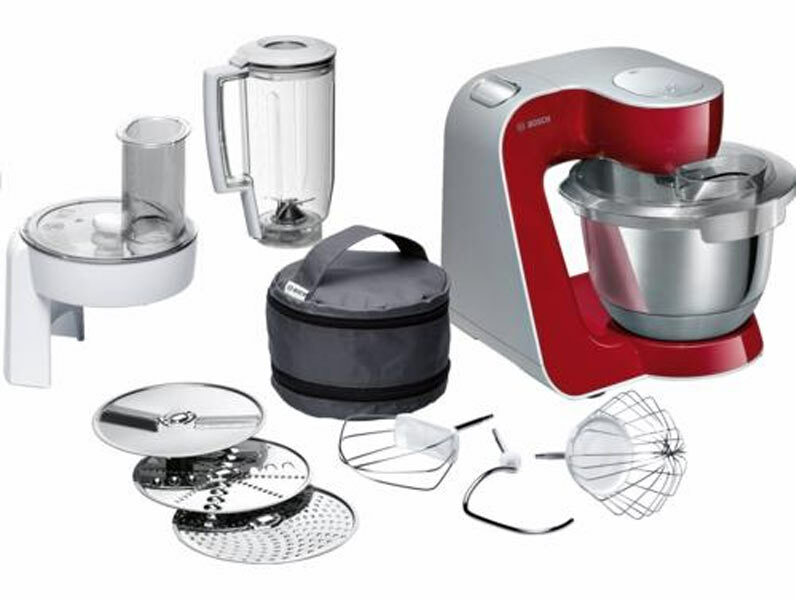 -The powerful kitchen machine for frequent cooking and baking. Processing even large amounts of up to 1 kg of flour plus ingredients is a breeze thanks the powerful 1.000 watt motor. -Doughs are mixed to perfection in the spacious 3.9 l capacity stainless steel mixing bowl with a special inner shape and 3D Planetary Mixing - for up to 2.7 kg of cake mixture / 1.9 kg of yeast dough. -Comfy and easy to use with EasyArmLift and simple filling of the bowl thanks to the automatic park position for the dough tools.